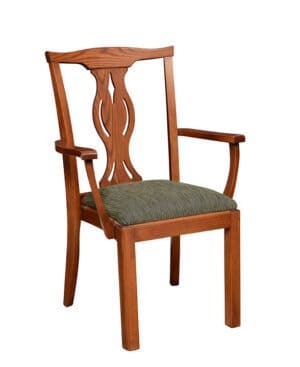 The Claremont II chair is a 1” wider version of our very successful Claremont. 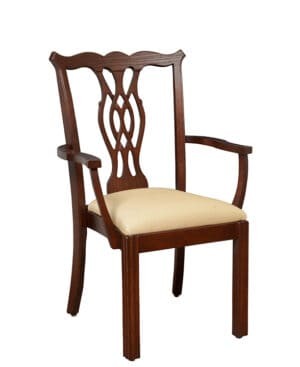 Its elegant Chippendale chair is now part of multiple clubs and institutions nationwide. Because the seat on a stacking chair is often narrower, some customers have requested a wider stacking chair for additional comfort; we have found that just one inch makes a nice difference. 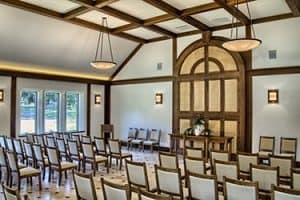 The wider Claremont II is excellent for member dining; it works best in applications where seating density is not critical. The back support is curved and braided into the shapes of leaves and diamonds, weaving its way to a seat nothing short of spectacular in its comfort and durability. And the Claremont II chair comes with the same 20-year warranty as all of our other stacking hardwood chairs.